Here, Mary Lawhon (University of Pretoria), Henrik Ernstson (Stanford University) and Jonathan Silver (Durham University) introduce their paper, ‘Provincializing Urban Political Ecology: Towards a Situated UPE Through African Urbanism’, with a video abstract. As Mary and her colleagues explain, urban political ecology has provided critical insights into the sociomaterial construction of urban environments, their unequal distribution of resources, and contestations over power and resources. Most of this work is rooted in Marxist urban geographical theory, which provides a useful but limited analysis; such works typically begin with a historical-materialist theory of power, then examine particular artifacts and infrastructure to provide a critique of society. The paper argues that there are multiple ways of expanding this framing, and goes on to demonstrate one possibility, starting from theory and empirics in the South. It shows how African urbanism can inform UPE and associated research methods, theory and practice to create a more situated UPE. It suggests what a situated UPE might entail, starting with everyday practices, examining diffuse forms of power, and opening the scope for radical incrementalism. You can read more from Mary, Henrik and Jonathan here. 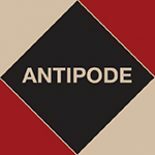 Antipode Abstract from Situated Urban Political Ecology on Vimeo. This entry was posted on 18 March 2014 by Antipode Editorial Office in Video Abstracts and tagged African urbanism, architecture, biodiversity conservation, class, compensation, disability, disasters, everyday practice, foodscapes, geoweb, labour biopolitics, Latin@ invisibilities, Marxism, necropolis, Southern theory, street theatre, theories of power, UPE, urban political ecology, urban theory.